LRC3-7 - 7 ft. x 41 in. 65 lbs. LRC3-8 - 8 ft. x 41 in. 78 lbs. LRC3-9 - 9 ft. x 41 in. 90 lbs. LRC3-10 - 10 ft. x 41 in. 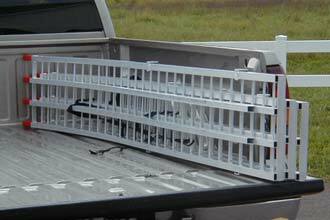 Includes one 16" wide center ramp with 1,500 lbs. loading cap. 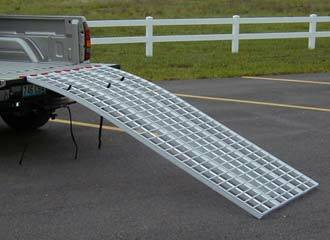 Two 12" wide outside ramps with 750 lbs. loading cap. per piece. Combo locking widths of 24", 28", or 41".